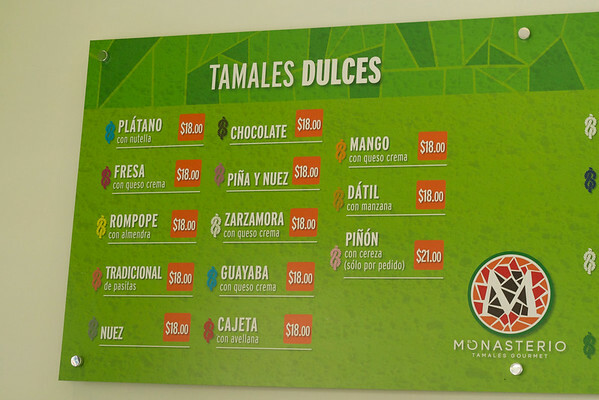 Monasterio Tamales is a small food stall a few blocks from Frida Kahlo Museum. Perfect place to lunch before queuing up for the museum visit. And oh, these are the genuine article – fluffiness that can’t be brought about by “healthy” fats. 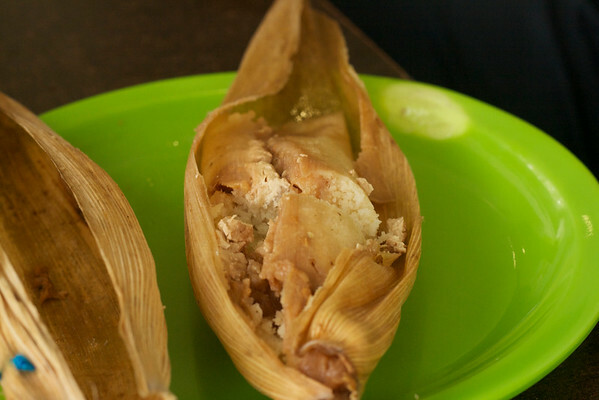 A lunch that cost us a grand total of USD $4 for four tamales. 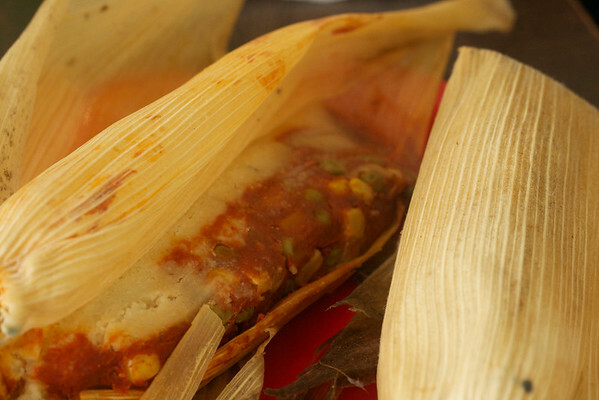 Sweet tamales? I didn’t know this concept existed. But it makes perfect sense in hindsight. We had ordered shrimp but I think they either ran out of shrimp that day or gave us a vegetarian option. 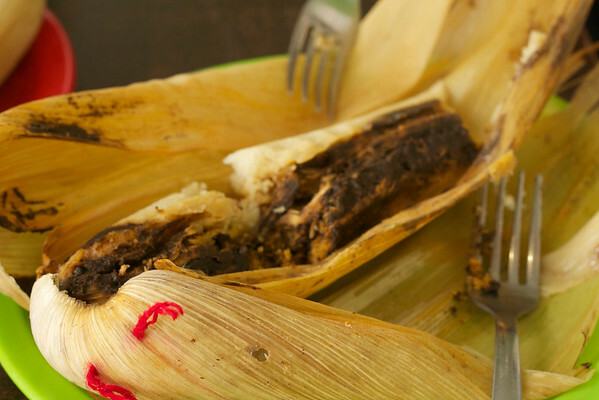 Cuitlacoche – famous tar-like corn fungus. 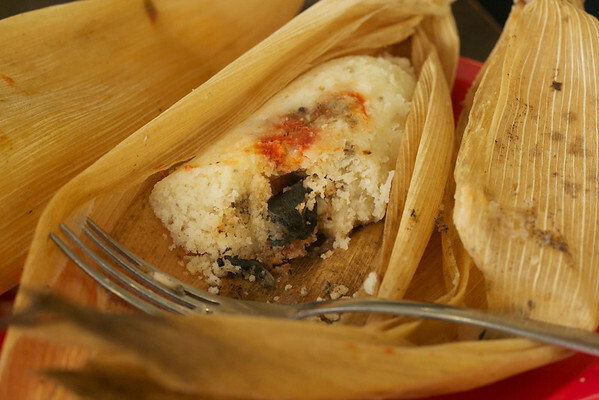 We had our first taste of this fungus at a hole in the wall in LA. 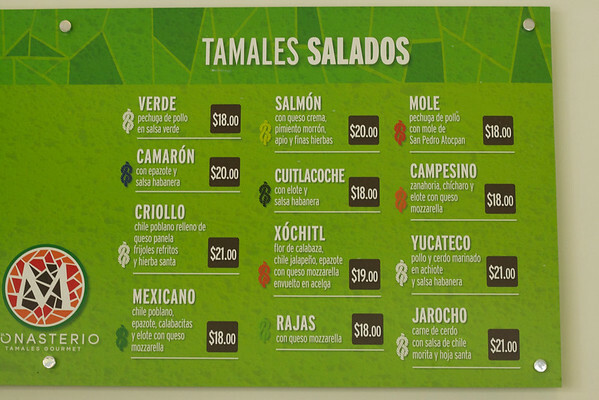 Since then, we have ordered Cuitlacoche anywhere we have seen it on the menu. Guava (Guayaba) – this was surprisingly yummy. They had basically taken the guava pulp and discarded the seeds.